said to be located in the safety of our unity of spirit and flesh [a safe place due to its relative height compared to the very flat surrounding land, making it nearly impossible to be approached unseen]. Now that we have awakened our cellular memory that lives beyond logic a bit, we can risk being more explanatory terms. 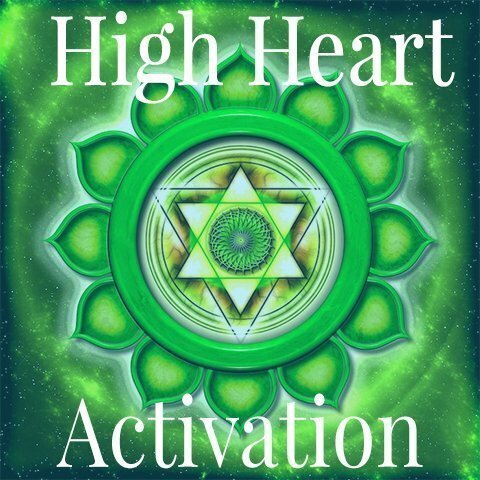 The High Heart exists in the memory of our sacredness and is part of our higher consciousness. I have not found it true that stimulating the High Heart is a catalyst of awakening our higher consciousness sustainably. I have seen people experience their higher consciousness but it is not sustainable. More, what I have found to be true is that when the higher consciousness of humanity is awakening the High Heart is activated. I do not want to leave out the honoring of all the people working to awakening their direct link with Creation. Our reaching to re-member is why Creation able to respond. More and more there is evidence that the dimensional field of Creation that carries our higher consciousness is awaking in the body. In this awakening comes the awakening of our High Heart. Watching people during these times, I can see the High Heart activating. Supporting what is activating is the purpose of the Activations. It is strongly recommended that you listen to the Solar Plexus Group Activation before the High Heart Activation.